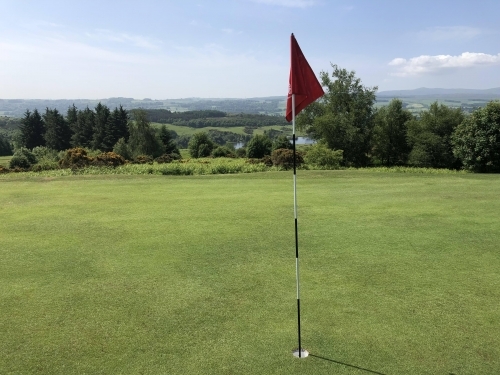 On the edge of Kilmacolm, located adjacent to Glen Moss wildlife reserve, the course nestles amid undulating farmland, meanders past Lawfield Dam and Trout Fishery and delights with breathtaking views across the Knapps loch. You'll hear cuckoos calling in Spring, delight in the majesty of deer crossing the course and you are more likely to see fishing boats or riders on horseback than any other form of transport. 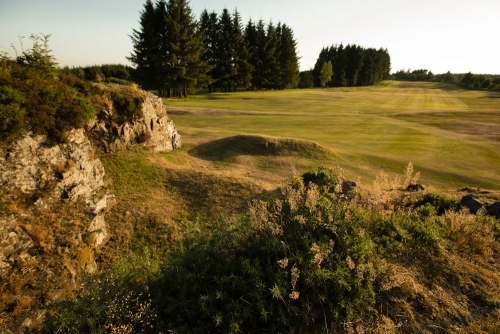 Recognised as one of the finest moorland courses in Scotland with its gorse, heather and tree lined fairways, it'll be easy to think you have the course to yourself. With over 150 Lady members and a daily Gents afternoon 'roll up', you'll not have to look far to find a game. 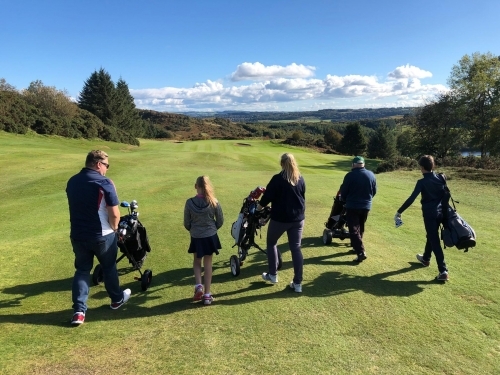 Priding itself on being one of the friendliest Clubs around, Kilmacolm offers a strong mix of both family, fun, mixed, social and competitive golf. There's something for everyone and family golf flourishes at Kilmacolm. Family fun days, multi tee Sunday Stablefords and junior coaching sessions regularly attract large numbers of participants. We have a terrific greenkeeping team looking after our course and we strive constantly to add value to our membership. We continue to invest in our popular practice facilities. With a full size driving range set against a picturesque backdrop, short game practice area, as well as two manicured putting greens, our extensive facilities are the envy of many clubs in the area. Of course there is more to a golf club than just golf. In addition to the many competitions run throughout the year, we have a lively social calendar. Our extensive Clubhouse, which has undergone a recent major refurbishment, provides an excellent venue for our many social events. Members can hire the Clubhouse for weddings, christenings, birthday parties and other special events. NEW...Social Membership at Kilmacolm Golf Club. We are very proud of our large, thriving junior section of boys and girls. Membership opportunities are available across all category of membership, with discounted rates in force for under 30’s. We are fortunate to have first class practice facilities here at the Club. Are you new to golf? Our Intro to Golf membership category may be the perfect answer for you. The Kilmacolm Golf Club are pleased to welcome visitors, either as individuals or as a party.